The long-running Sony "OtherOS" class-action lawsuit has resulted in a settlement, and you can make your claim now. For those of you who owned the launch model of the PS3, you might remember that you once had the ability to install Linux on your console. But in 2010, Sony removed support for the feature. Later that year, a class-action suit was filed against them. It took six years, but you can now finally file a claim in the suit. The settlement terms include Sony paying out up to $55 to affected PS3 owners, but there are conditions on the payments. 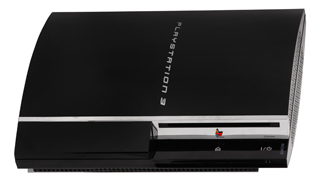 Chief among thos is that only those who bought a new "fat" PS3 between November 1, 2006 and April 1, 2010 are eligible. To receive $55, you'll not only have to provide proof of purchase for a qualifying PS3, you'll also need to provide proof that you used OtherOS features. That means you'll need a proof of purchase for a qualifying version of Linux or a screenshot of the OS running on your PS3, for example. If you never used the OtherOS functionality, but intended to, you can file a claim to receive a payment of $9. You'll still to prove that you purchased a qualifying PS3, and you'll have to attest for the record that you "lost value or desired functionality or believe they were otherwise injured." Once you've filed your claim, you'll have to sit back and wait a little longer. The final approval hearing is currently set for January 24, 2017, but that doesn't account for any possible appeals. If those materialize, it could be a year or more before payments are sent out. You can get all of the info on the settlement, and file a claim of your own, by visiting the official settlement website.